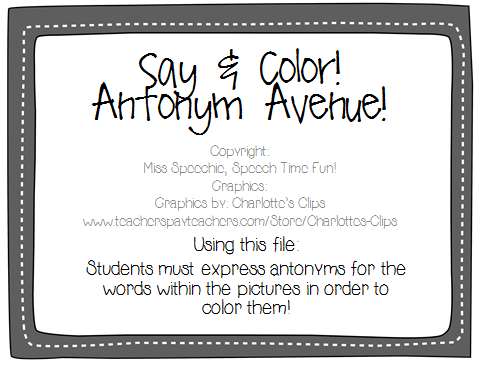 Speechie Freebies: Say & Color Antonym Avenue! 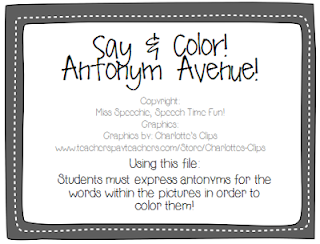 Looking for more print and ready to go freebies?! Hop on over to my blog to learn more about it!